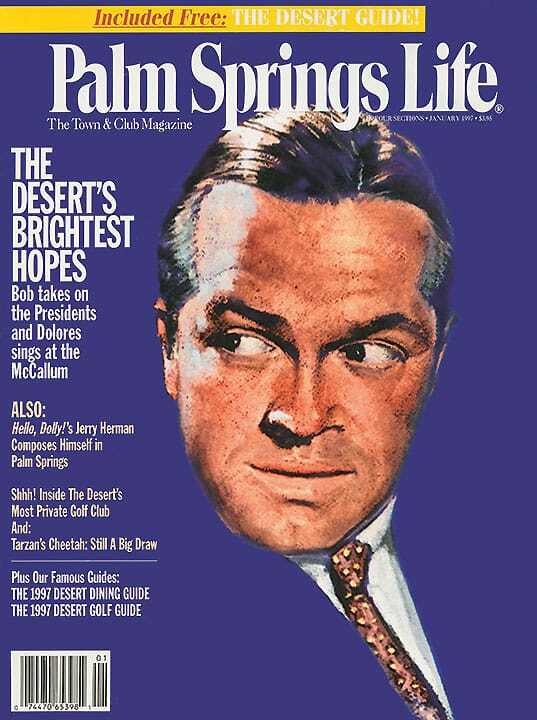 ON THE COVER — Famed charcoal artist Volpe created many beautiful portraits of the desert’s famous residents and visitors, including this one of the venerable Bob Hope. Los Angeles illustrator Jeff Wack was asked to help contemporize Volpe’s work for the January cover, an homage we’re sure Volpe would stamp with his approval. The great schmoozer of Presidents shares his favorite First Jokes, proving again what a national treasure he has become. A look at the Film Festival honorees and attendant celebrities. By Murray Olderman. Photography by John Henebry. The most private golf club in the desert lets Palm Springs Life onto the course. Come along. By Erika Duffy. Photography by David Glomb. 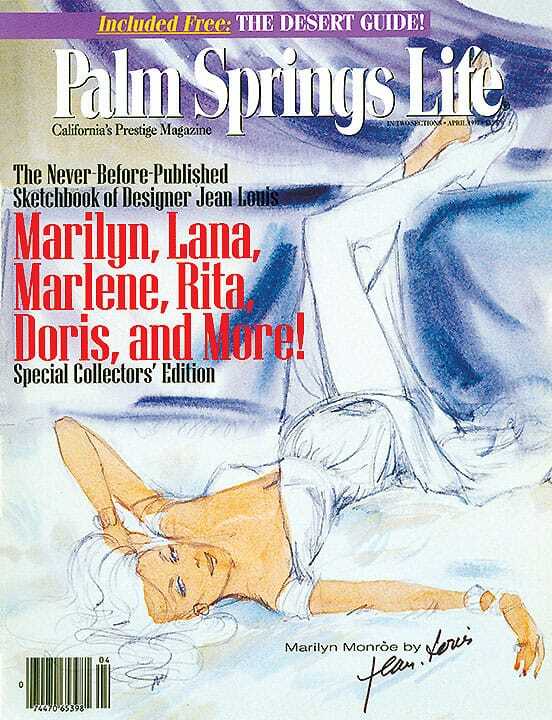 Jerry Herman, the creative genius behind some of America’s favorite musicals, opens his Palm Springs home to our readers. He designed it, decorated it and furnished it. The most complete guide to every golf course in the desert with everything you need to know to tee off. 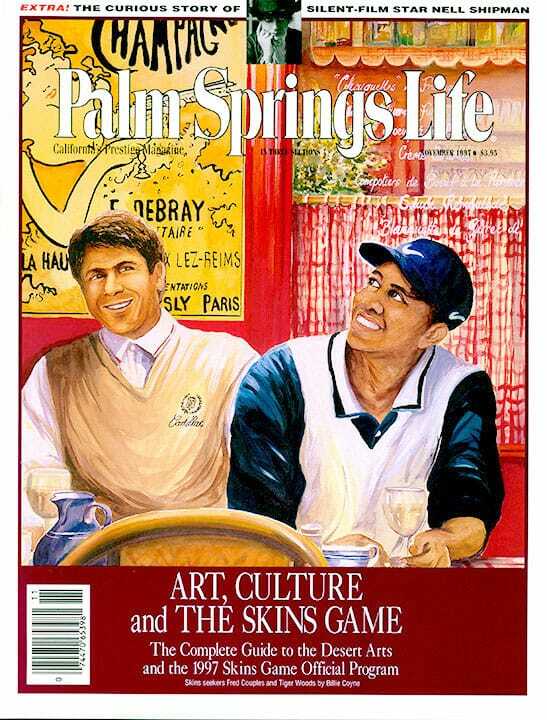 Also includes the editors’ choices for the Desert Dream 18, the most spectacular golf holes in the valley. Fore! 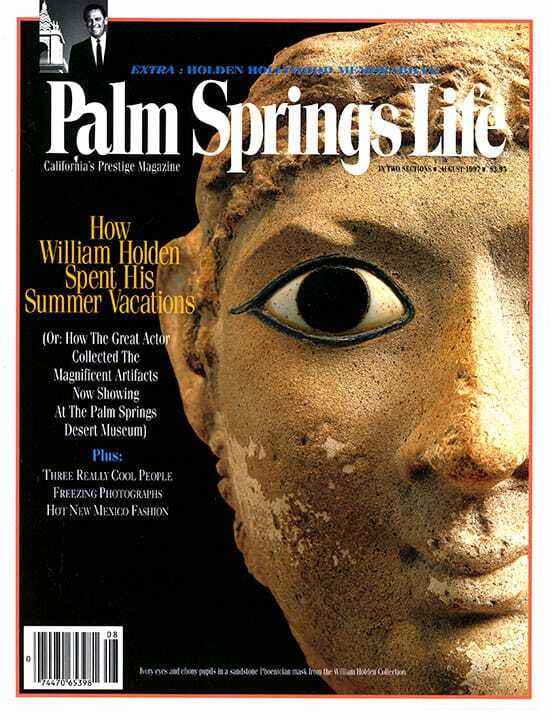 This year’s guide offers the most complete information on every restaurant in the Coachella Valley. Some restaurants have gone to considerable time and expense to show off their places. Reading this is a feat in itself. Mangia!